SAGAMORE HILLS, OH (WOIO) - On Wednesday, Greg Kaminski, executive director of Elmcroft of Sagamore Hills, released a statement on the death of 94-year-old Martha Jendrix, whose body was found outside the facility Monday. "First and foremost, we express our profound sorrow at the tragic death of our resident at Elmcroft of Sagamore Hills and the sorrow that it has brought the resident's family, loved ones and our staff who cared for Ms. Martha Jendrix. Elmcroft of Sagamore Hills ("Elmcroft") is a residential care facility that provides housing for elderly individuals. Seniors who reside in this Community are offered assistance with daily living activities based on individual needs. 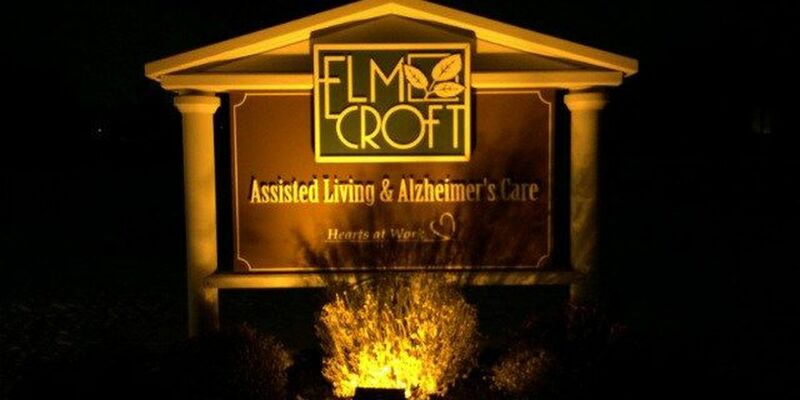 Elmcroft is not a skilled nursing facility and does not provide acute medical care. For those residents who need special care for progressed dementia along with their daily living activities, the Community has a dedicated, secured area. Under Ohio regulations, a medical evaluation by a licensed physician (referred to as the Health Care Practitioner's Statement, which contains a Physician Recommendation) is required in order for any resident to be placed in a residential care facility. Among other things, this evaluation requires a statement of primary and secondary diagnoses and a physician recommendation that the resident is appropriate for either the assisted living community or the secure dementia area. In addition, an individual assessment is performed by our staff to determine the necessary activities of each resident prior to accepting any senior for residency in our Community. Our Community is accessed through a common entrance. In the evening, ingress through the common entrance is restricted, but egress is unrestricted so residents, family, guests and staff are able to exit. The dedicated dementia area is secured and ingress and egress in that area is restricted and monitored at all times. As is common in the assisted living industry throughout the United States, residents may come and go from the community and their rights of ingress and egress are generally not restricted. Indeed, communities such as Elmcroft encourage independence for our assisted living residents. The ability to have the freedom to ambulate in and around the Community allows our elderly residents to live their golden years with dignity and independence. On January 19, 2015, Ms. Jendrix was found deceased on a service road located on the Community property. She was 94 years old and lived on the first floor in an assisted living apartment. Elmcroft is continuing to cooperate with local law enforcement, the coroner, and regulatory authorities to investigate the circumstances surrounding her death. The coroner's office has released its report indicating that the resident passed away due to "hypothermia due to exposure, accidental." Based on current findings, it is believed that Ms. Jendrix exited through the common entrance sometime between the late evening hours and early morning. There is no evidence of foul play. Out of respect for the family's and our residents' privacy rights, we will have no further comment. Again, we are sorry for the pain that this accident has caused Ms. Jendrix and her family and loved ones."